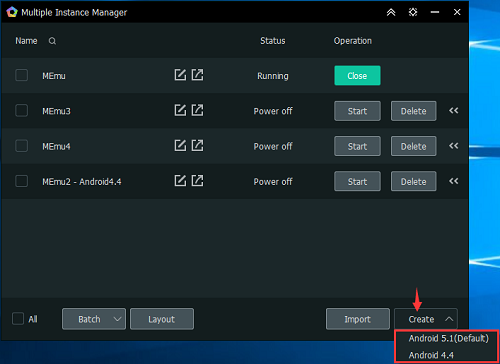 MEmu 5 is a big step from Android 4.4 to Android 5.1, which means you will get Android 5.1 Lollipop VM by default. Meanwhile Android 4.4 will be maintained for a while and you can download it additionally in Multi-MEmu. 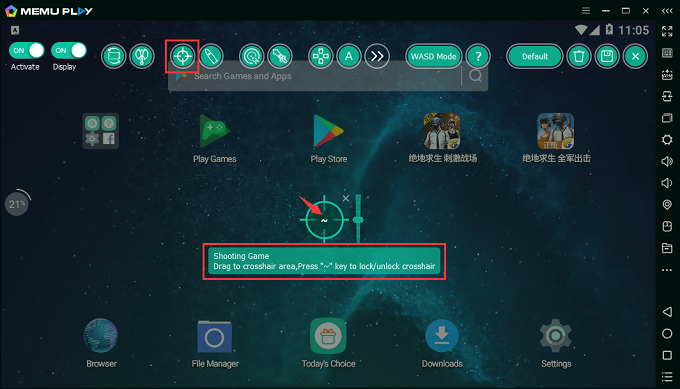 In MEmu 5, Direct X mode is enhanced to support a bunch of new graphic-focused games, like Rules of Survival, War Dragons, etc. Open GL mode is supposed to be compatible with most of old games. Anyway, it’s worth to switch graphic render mode if fail to play any game. 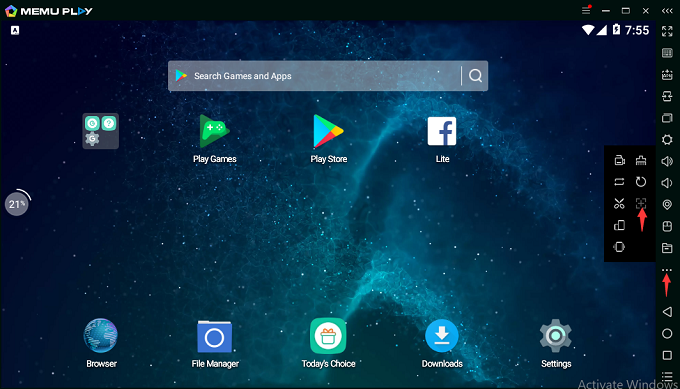 In MEmu 5, side tool bar is optimized to be more user friendly. You will get a few more tool buttons if click the dots button, while you can open another setting dialog to unfold more tool buttons if you click the plus button. 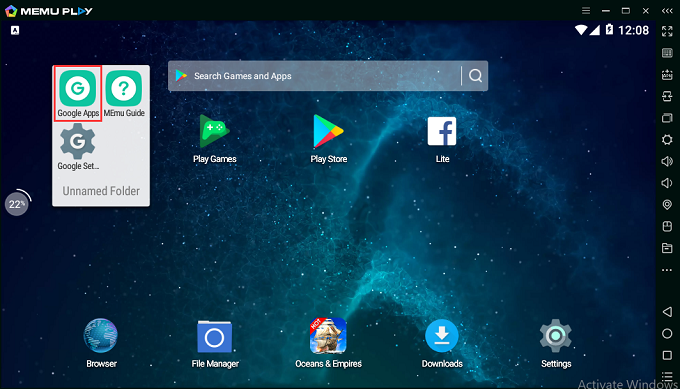 In MEmu 5, we add a new feature into side tool bar, which is named synchronizer. It will be useful when you open several VMs and want them to take same actions. For example, you open synchronizer in a VM and click start, make some mouse clicks, then all the other VMs will perform the same clicks at the same time. In MEmu 5, we enhance a keymapping feature special for shooting game. Previously mouse right click is fixed to enable first-person mode in shooting game, while it’s allowed to change any key (like “~”) enable this mode because most of people prefer to use mouse right click to open sight view. 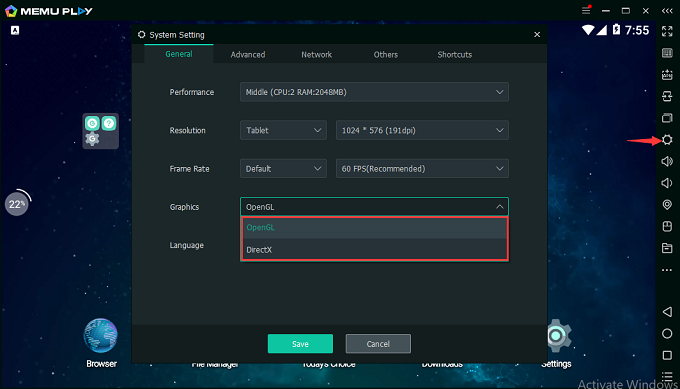 In MEmu 5, we shrink the size of default Android kernel image by removing a few unnecessary system packages, such as LatinIME, Gallery, Camera, Contacts and Calendar. You can install them by yourself with Google Apps as below. For example, you might need LatinIME because AOSP Spell Checker depends on it.